These easy cheesy olive muffins really make a chic and delish appetizer for your holiday dinner parties. They are mainly prepared with flour, milk, eggs, cheeses (Parmesan and fresh goat cheese), green and black olives, and fresh herbs. I have them served with some mixed salad greens, but you can enjoy them just without. A glass of Loire white, like Sancerre, or sauvignon blanc-based white is highly recommended. If you really don't like the common cat-pee smell from sauvignon blanc, then a refreshing riesling would be just as lovely and harmonious. Preheat the oven to 180C/350F. Line 10 wells of a muffin pan with paper liners. Whisk together the flour and baking powder in a mixing bowl. Add in milk, olive oil and egg yolks and beat until smooth. Now add in olives, Parmesan, and chopped herbs. Season the mixture with salt and black pepper. Beat the egg whites until stiff. Fold the egg white into the batter until combined. Fill the prepared muffin pan 3/4 full with batter. Top each with one fresh goat cheese round and drizzle with a little of olive oil. Bake at the upper rack of the oven for about 12 minutes or until lightly golden brown. Serve the muffins on a bed of mixed salad. This is basically a clean-out-fridge salad. So depending on what whatsoever greens or leftover in the fridge, you can mix and match so many different ingredients to make delicious and light meals. Whisk together plain yogurt, walnut oil, mustard, honey, and red wine vinegar until smooth. Season to taste with salt and pepper. Cover and chill until ready for use. Cut the ends off endives, separating leaves. Arrange Belgian endive, orange sections and avocado slices in a serving bowl. Scatter with the olive rings, grape tomato halves, and onion strips. Drizzle the dressing over and serve with some bread. A quick, easy oven-roasted chicken thighs with Ariosto spice mix, fresh rosemary and maple syrup. Heat oven to 200C/400F. Thoroughly clean the chicken legs with warm water and drain. Make a couple of slits on the meaty part of chicken thighs. Peel the potatoes and cut into wedges. Place the cleaned chicken legs and the prepared potato wedges in a shallow baking tray, add in Ariosto seasoning and melted duck fat, then toss until well-coated. Add in grape tomatoes and rosemary sprigs. Bake for 35 minutes until chicken and potatoes are fork tender. Brush the chicken with maple syrup and broil for 5 minutes. To all my friends and readers, I wish you and your family a very Merry Christmas with Good Mood, Real Food and Love! Preheat the oven to 180C/350F. Prepare 3 baking trays with parchment paper. Whisk together the flour, baking soda, ginger, cardamom, cinnamon, clove, and salt in a mixing bowl. Beat the golden caster sugar and butter in a large bowl with an electric mixer on medium speed until light and fluffy, about 3 minutes. Add in egg, molasses, maple syrup, and fresh ginger. With the mixer on low, slowly add the flour mixture to the butter mixture. Beat until incorporated. Fold in the crystallized ginger. Cover with a plastic film and chill for 1 hour. Shape the dough into 1-inch balls. Roll the balls in the sugar, and place about 2-inch apart on the prepared baking tray. Bake until the cookies are just firm to the touch, about 12 minutes or 15 minutes if you prefer them crisp. Transfer the ginger snaps to wire racks and let cool completely. Store the cookies in an airtight container for up to 2 weeks. Puree half of the cooked beetroot and cut another half into small pieces. Ser aside. Heat the olive oil in a pan. Tip in shallot and garlic, then stir until translucent. Stir in rice until well-coated with oil. Pour in the white wine and beetroot puree. Simmer until all is absorbed. Pour in a third of the hot vegetable stock and set the timer to 18 mins. Simmer, stirring occasionally, until the stock has been absorbed, then add half the rest of the stock and continue cooking and stirring until that has been absorbed. Add in the rest of the stock, stir, then simmer until cooked. Remove the pan from the heat and stir in most of the Parmesan, arugula and the diced beetroot through the risotto. Serve with Parmesan and arugula scattered on top. Rosemary, with its unforgettable pine-like fragrance, pungent flavour, and unique health benefits, is an indispensable herb for every kitchen. They are often used to flavour meat, fish, sauces or soups. Besides its well-known culinary use, rosemary has been used in cosmetic and to treat digestive disorders and headaches. Put the flour and butter in a food processor and whizz until the mixture looks like breadcrumbs. Add the sugar, egg yolks and rosemary and whizz to a dough. Tip onto a lightly floured work surface and knead in the walnuts. Shape into a log about 5cm across. Wrap in plastic and chill for an hour. Line two baking trays with paper. Heat the oven to 180C/350F. Slice the dough into biscuits and arrange on the prepared trays. Bake for 20 minutes until lightly golden brown. Remove and transfer to the wire racks to cool. A delicious and simple salad with fresh oranges and quality vacuum packed cooked beetroot served with orange caper dressing. d makes The contrast of colours makes the salad extremely appetizing and pleasing. Slice the cooked beetroot into 4mm thick slices. Peel the oranges, removing the white pith and slice into 4mm slices. Place orange juice, honey, olive oil in a jar, season with salt and pepper. Close the lid and give it a good shake. Add in chopped red onions and capers. Mix thoroughly. Arrange the orange and beetroot slices alternately in a row on a serving platter. Pour the dressing over and sprinkle the chopped parsley on top. Serve immediately. 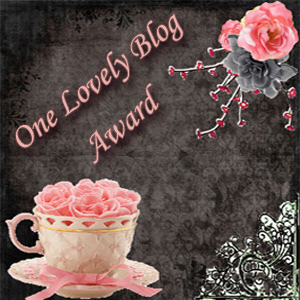 And I also want to thank Alisha of The Ardent Epicure and Sara of The Lonely Radish for sharing this award with me. THANK YOU! Linzer cookies based on traditional Austrian Linzertorte, are one of the common Christmas cookies in Germany. They are nutty, rich and SWEET. Traditionally they are filled with black currant jam, but any other fruit preserves can be used to fill the cookies. Rather than almonds, nuts such as hazelnuts, pecan, can be substituted to make Linzer dough. Created in Linz, Austria in the 17th century, the Linzer torte is the world's oldest torte recipe. Tortes use nuts rather than flour as the main dough ingredient. The Linzer torte features an almond-based crust filled with black current preserves and topped with a lattice crust. In the 19th century, the Linzer torte was adapted into the present-day Linzer cookie. Cut the orange into halves, put the half of the orange face down on the juicer and rotate it to get the juice. Place orange juice, red wine, canning sugar, star anises, cinnamon stick, and cloves in a saucepan. Bring the mixture to a boil and simmer for about 4 minutes. Strain the jelly through a sieve. Set aside. Beat butter, sugar, pinch of salt and egg yolk until combined. Add in ground almond, spekulatius spice and flour. Mix all the ingredients together with your hands until you have smooth dough. Flatten the dough into a 5-inch disk. Wrap the disk in plastic wrap and chill until firm, at least 1 hour. Line 2 baking trays with parchment paper. Preheat the oven to 180C/350F. Roll out the dough into a 4mm thick round between 2 sheets of wax paper. Cut 2-inch rounds with a plain or fluted cutter and place them on the prepared trays. With half of the rounds, cut a hole from the middle of each round with a heart or flower shaped cutter. Bake the cookies for 10-12 minutes, until the edges begin to brown. Allow to cool to room temperature. Spread mulled wine jelly thinly on the flat side of each solid cookie. Dust the top of the cut-out cookies with confectioners' sugar and press the flat sides together. Fill the holes with little more jelly. Store them in your cookie box, separating the layers with waxed paper, and store for up to 2 weeks. These nice soft avocado cookies with a mild tang of sweetness, subtle nutty flavour, and buttery richness are sure to liven up your holiday tea parties. They also make great gifts for the elderly relatives and neighbours. Line 2-3 baking trays with paper. Cream butter, mashed avocado, cream cheese, and sugar together. Add lemon juice and poppy seeds, and beat until light and fluffy. Add in flour, baking soda and mix until incorporated. Fill your piping bag fitted with a star tip half full with cookie batter and pipe out cookies onto the prepared trays. Alternatively you can use a cookie gun to press any desired patterned cookies. Preheat oven to 190C/375F. Bake for 12-15 minutes until the cookies are lightly golden. Transfer them on the wire rack to cool. Brussels sprouts, great food source of vitamin A, vitamin C, folic acid and dietary fibre, make the perfect holiday side dish. Simply season them with salt, pepper, garlic powder and tossed with olive oil, then roast until beautifully carmelized. And the leftover can be quickly turned into a delicious pasta for lunch! Preheat oven to 200C/400F. To trim Brussels sprouts, first cut off the stem end and remove any loose or wilted leaves. Cut the Brussels sprouts in half, lengthwise. Place them in a bowl, and season with salt, pepper and garlic powder. Add the olive oil and toss until thoroughly coated. Transfer to a shallow baking dish large enough to hold the sprouts in single layer. Roast until the sprouts are browned on the outside and tender on the inside, stirring occasionally, about 25 minutes. Place the pistachios, cranberries, roasted garlic and flat parsley into a food processor and process until very finely chopped. While the food processor is running, slowly drizzle in the olive oil. Season with salt and black pepper to taste. Serve the roasted Brussels sprouts with the cranberry pistachio pesto.